(L-R) Dmitri Pekhterew, Ernie Olmstead, Kelly Reiley and Deputy Mayor Juan Alamilla. Interval International is a vacation exchange network that includes more than 2,300 resorts and nearly two million member families worldwide. 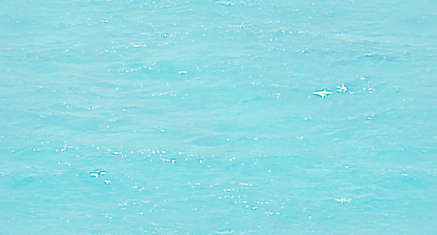 In Central America alone, excluding Mexico, there are 42 resorts that are members of Interval International. Just recently, Interval International incorporated the Premier Resorts status which is awarded to resorts who offer state-of-the-art conveniences, modern features and appointments. These resorts are known worldwide for providing an outstanding vacation experience. 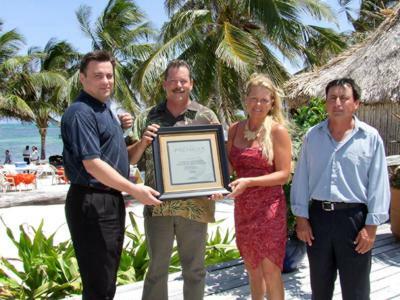 This past Wednesday, one resort out of the 42 in Central America was the first to receive the Premier Resort Award. With its cabañas and villas, Captain Morgan’s Retreat and Vacation Club stands above the rest as being the first recipient of the Premier Resort Award for the program’s first year. The criteria for receiving such award is vast and has four categories which include Destination and Resort Location, Accommodations, Amenities, and Common Areas and Guest Services. Of course, the categories are branched out and each individual subcategory is carefully taken into consideration when looking for the resorts that would be eligible for the Premier status. Captain Morgan’s Retreat and Vacation Club offers one, two and three bedroom villas that provide thousands of square feet of luxurious living space. Each vacation home has a generous living room, large outdoor terrace with sunken hot tub, fully equipped kitchens, dining area, storage space and laundry room. Throughout the villa you will find rich natural woods, stone and locally inspired designs that create a living environment that celebrates Belizean character while you enjoy Caribbean views from your terrace that will inspire and enchant you. You can chose from a one, two or three bedroom villas. Captain Morgan’s Premier status was accepted by Olmstead and Riley at the resort on Wednesday, May 7th, 2008.